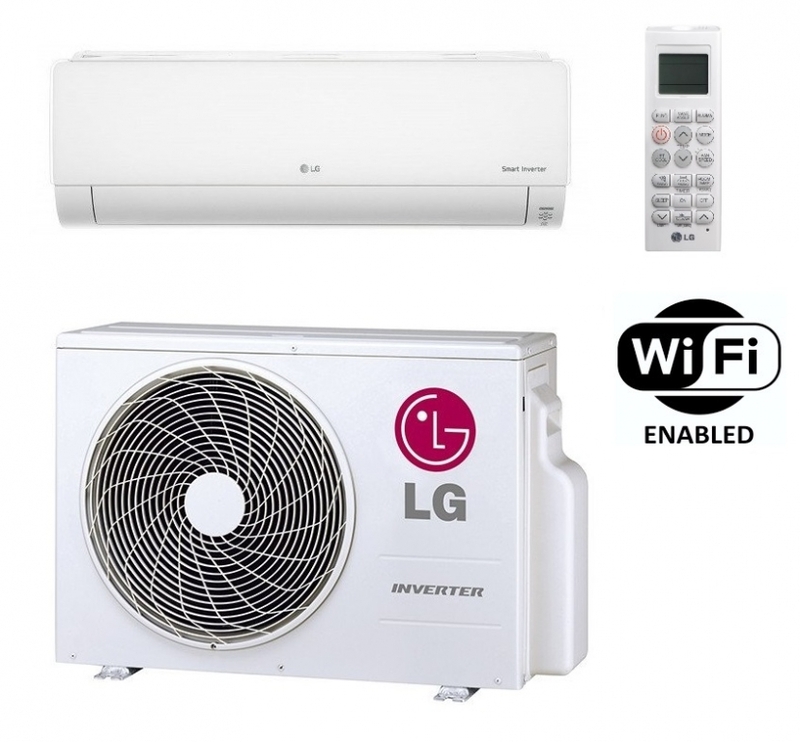 The LG DC09RQ.NSJ Deluxe model of heat pump air conditioner offers class leading heating and cooling performance with a host of advanced features. A++ rated running costs are achieved via the LG active energy control system which constantly monitors performance and adjusts itself to the required temperature setting. Features include built in wi-fi to the indoor unit so the system can be controlled via the LG app via a smartphone. The advanced filtration system sterilises and deodorises, reducing harmful microscopic particles. This model is suitable for heating and cooling a room up to 25 square metres in size. Take a look at the pdf brochure below for full details on this system.